Blade is highly responsive and retina ready modern theme for WordPress sites of any scale and purpose. This theme includes a lot of plugins and widgets that allow you to quickly and easily create a unique site on the WordPress platform without knowledge in the field of web development and design. The key elements of Blade theme are: drag-n-drop editor on the Visual Composer basis, best performance Revolution Slider, easy import by Dummy Data, translation ready by WPML system and much more. Blade also fully supports any WooCommerce features to make your online shop clear to navigate and effective in use. 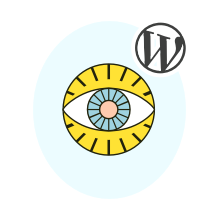 Built-in Color Editor allows each WordPress site owner to create a unique design of your project. In this case, you can use ready-made templates offered by Blade theme. The combination of prepared templates and individual approach with the help of the color editor enables you to create a unique site without CSS knowledge. The variety of fonts provided by the theme deserves a special mention. Over 650 Google Fonts are available for changes in all parts of the site – header, footer, menu, headings, paragraphs and so on. You will be able to surprise each reader with an interesting approach to the site typography using integrated in Blade theme functions. Blade theme is completely SEO optimized. This feature is achieved through clean code and reasonable placement of design elements. These features will significantly improve the position of your site in search engine rankings. Blade theme creators claim that the product is based on users` feedback. This approach allowed them to satisfy all the desires and dreams of WordPress site owners in a single theme. You can check these words on your own, looking at live demo on the product page.